Vanguard Cleaning of Minnesota | Dependable commercial carpet cleaning services. 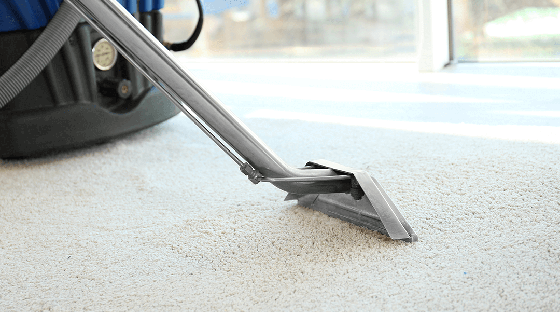 Vanguard Cleaning Systems of Minnesota offers commercial carpet cleaning, floor cleaning and other deep cleaning services in addition to weekly commercial cleaning. Commercial carpet cleaning needs are as varied as the types of businesses we serve. While many carpet cleaning companies provide standard services, few understand best practices and options like we do. Together with our franchisees, Vanguard offers several strategies for effective results. Fast and thorough. Truck-mounted carpet cleaning and extraction units offer the hottest water temperatures to agitate carpet fibers and the strongest suction, reducing drying time. Truck-mounted units also allow for the quickest clean because no setup or tear down is required. Quick drying. Low moisture encapsulation is perfect for facilities with 24-hour access requirements. Benefits include shorter drying times, Leadership in Energy and Environmental Design (LEED) building certification points, minimal residue and total soil removal. Hard to reach spaces. Self-contained carpet cleaning and extracting is for facilities with layout or security concerns that prevent the use of truck-mounted carpet cleaning machines. A portable carpet cleaning machine is a perfect fit, offering effective cleaning in a self-contained unit that can reach areas not accessible to truck-mounted units. Commercial carpet cleaning cost is based on the specifics of your project. Let’s get started on your carpet cleaning project today! There are many things to consider before choosing a commercial cleaning service that’s right for your building and the people who spend time there. For example, what’s right for a small office is not a good fit for a high traffic public building.